New York Giants cornerback Prince Amukamara will miss two to four weeks with an injured pectoral muscle, coach Tom Coughlin said Thursday. 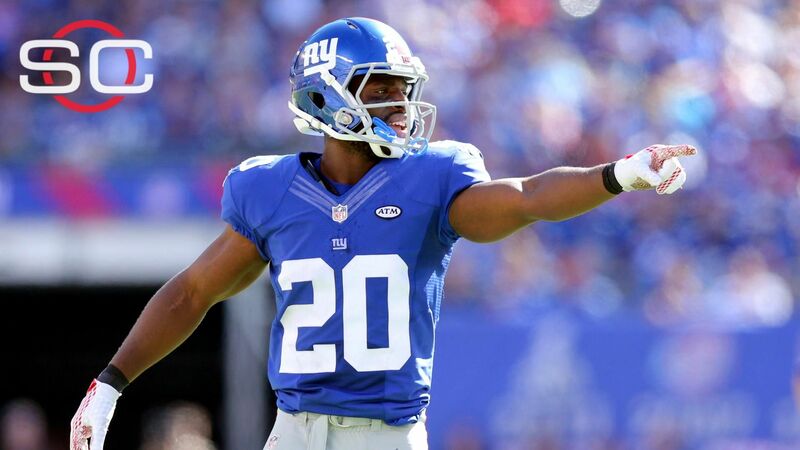 Sources earlier told ESPN's Josina Anderson that Amukamara suffered a partial tear of his pectoral muscle during Sunday night's game against San Francisco and would miss at least three to four weeks. Amukamara sat out a number of plays against the 49ers, but he returned and finished the 30-27 victory and didn't indicate any problems afterward. In other injury news, wide receiver Odell Beckham Jr. stretched with the team at the beginning of Thursday's practice, then went off to the side to work under the supervision of a team trainer. He did some light jogging and some side-to-side work with a green band around his ankles, with a member of the training staff filming his movements from behind with a phone. After a while, Beckham returned to the field, where the other wide receivers were working, and joined them for their drills, though he did not take part in any. Having Beckham on the field and moving around is an encouraging sign, though the team would like to see him go through at least part of Friday's practice before declaring him ready to go Monday, when the Giants visit the Philadelphia Eagles. Amukamara's injury is a significant blow to a Giants defense that ranks last in the league in passing yards allowed per game (304). Coughlin said Jayron Hosley would start in Amukamara's place. "It's most unfortunate," Coughlin said of Amukamara's injury. "He's made a lot of plays for us this fall. But we'll continue on and we will get him back." Hosley, the team's third-round pick from the 2012 draft, has had a checkered history with the Giants and struggled when thrust into action last year. But he's responded well to new defensive coordinator Steve Spagnuolo, and Coughlin said he's performed better this year than he ever has before. Hosley started in place of an injured Dominique Rodgers-Cromartie in the Giants' Week 3 victory over Washington. "We played a game and won a game with Hosley starting at corner," Coughlin said. "He'll have to jump in there and do that, which I'm sure he's excited about." Wide receiver Rueben Randle, who injured his hamstring in Sunday's game, was able to work during the portion of Thursday's practice that was open to the media. Defensive end Robert Ayers, who missed the last three games with a hamstring injury, also was practicing. Linebacker Jon Beason, who left Sunday's game with a concussion, still hasn't been cleared to practice but was able to do some running on the side with the trainers. Mark Dominik breaks down how the Giants will compensate for the loss of CB Prince Amukamara, who will miss the next two to four weeks with an injured pectoral muscle.